Increasing the press speed to 3,600 sheets per hour and introducing a larger sheet size, the third generation J Press doubles letter size output over the previous version, making the new J Press 750S the most productive production inkjet platform available. 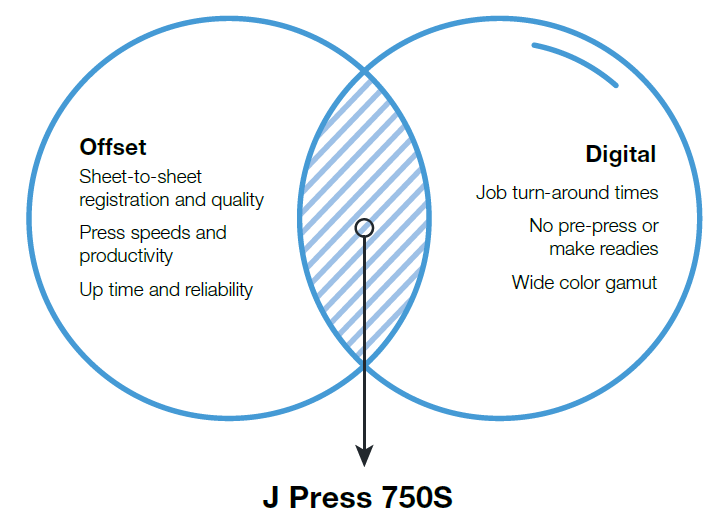 The J Press 750S blends all of the good qualities of offset, such as durability and reliability, while incorporating the newest leading technologies and benefits of digital inkjet technology to achieve a quality level that out-performs offset. The J Press 750S eliminates all the preparation and set-up time of an offset press. Just send the PDF and print. No plates to produce. No make readies. No run-up to color, no wasted sheets and virtually no press room consumables. Up-time figures above 90% are typically quoted by current J Press customers, with the J Press 750S set to improve on this even further. This is because the J Press 750S features a new printhead self-cleaning process. The new printhead assembly in the J Press 750S also features a new Active Head Retraction system to reduce the impact of any paper deformations on press operation. New generation SAMBA printheads jet at an even higher frequency of 33 kHz to maintain J Press’ reputation of superb dot placement accuracy. A new drying system uses a heated belt, hot air and vacuum to optimize the drying process. The larger sheet size of 23 inches by 29.5 inches extends the printable area of the sheet, further optimizing productivity with 6-up letter size output. High productivity book printing. 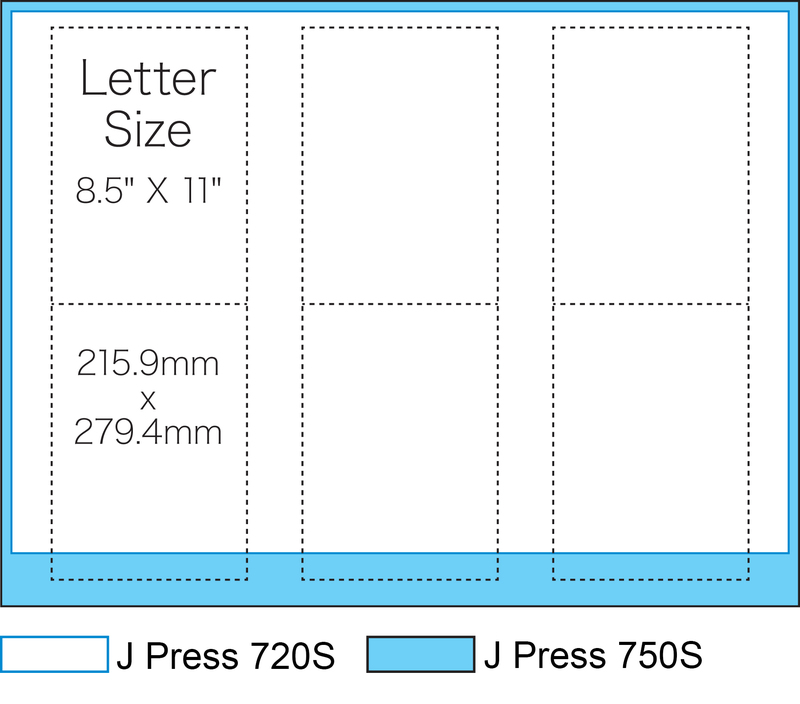 The J Press 750S prints all sheets in collated order, removing the need to handle stacks of different sections, and can be bound as soon as the first sheets are printed. Optimized sheet dryness. The new dryer system further enhances the readiness of the printed sheets for finishing or back side printing as soon as the sheets come off the press. 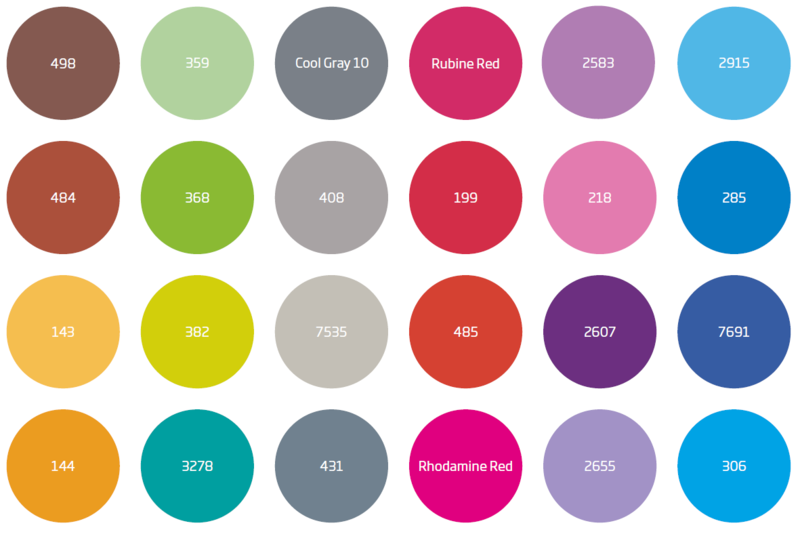 Fujifilm’s VIVIDA water-based inks provide an extended color gamut and vivid color reproduction. They were developed to match SAMBA printheads and achieve consistent, repeatable performance on the widest range of standard offset papers. For the J Press 750S, these inks have been refined even further, optimizing the combined performance criteria of quality, drying and ink rub-off from sheet to sheet. The J Press 750S is unlike most other digital presses as there is no requirement for specialized coated or treated digital paper. Offset printers can take advantage of current paper stocks, simplifying inventory and reducing costs. In addition, the 750S takes full advantage of uncoated paper stocks with the full vibrancy of VIVIDIA inks producing prints with even greater visual impact than from offset. 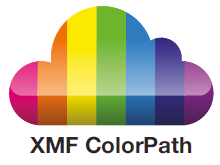 The Fujifilm XMF ColorPath Sync Brand Color Optimizer now makes it possible to accurately reproduce up to 90% of the Pantone library of 1872 colors with a Delta E of 3 or less, depending on the media chosen. This enables you to make decisions about printing a specific job up front with no time or materials wasted trying to determine if a match is possible. *Paper thicknesses are guidelines and performance may vary and is dependent upon the mill, paper type, paper grain and paper stiffness among other factors. Fujifilm recommends testing all media prior to use.